1. The hand held LED Santa Spinner Wand makes a splendid stocking stuffer, superb secret Santa gift, or clever Christmas party favor. 2. At 7.5” tall, this compact colorful accessory can be conveniently carried to concerts, celebrations, special events, festivals, parties & raves. 3. 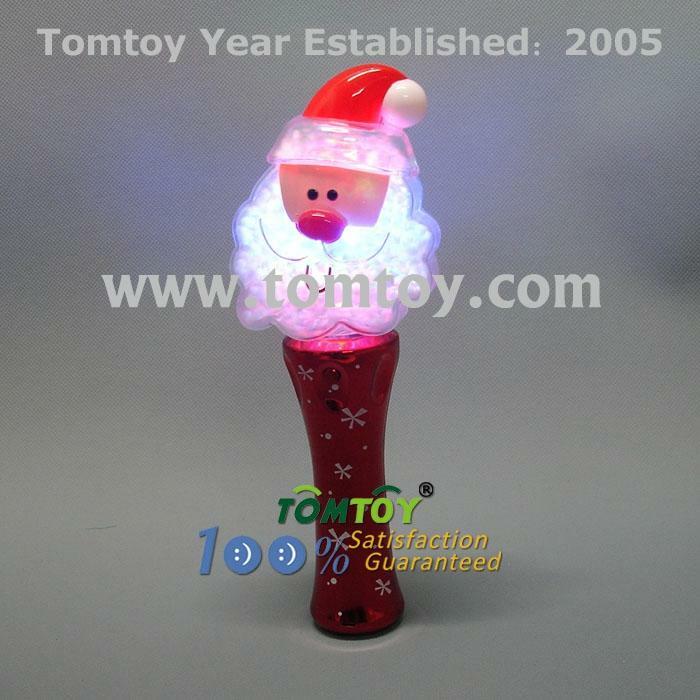 One push of the on/off button on the red metallic handle sends the sphere of Santa’s head into a swirling snowstorm amidst red, blue & green glowing lights. 4. This jolly tornado maker comes with (3) replaceable AAA batteries, installed & ready for use. 5. Kids and adults alike will be endlessly entertained by the brilliant light & snow show inside this magical toy wand. For ages 3+.